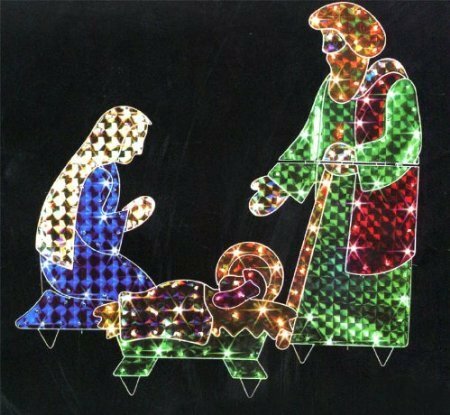 Holographic Outdoor Yard Nativity Set by LB International at Two Clock. Hurry! Limited time offer. Offer valid only while supplies last. Holographic 3pc Holy Family Indoor/Outdoor. 175 lights. 42'' tall. Holographic 3pc Holy Family Indoor/Outdoor. 175 lights. 42" tall. Boxed.